**All Prices listed on our website do not include the additional cost for Shop Fees, Hazmat Fees & Taxes. Oil Change Fayetteville NC. C and J Tire and Auto Repair has a humble beginning in the family home of small town Kansas. Owners and operators, James and Charles, have been working on cars ever since they were old enough to pick up tools. 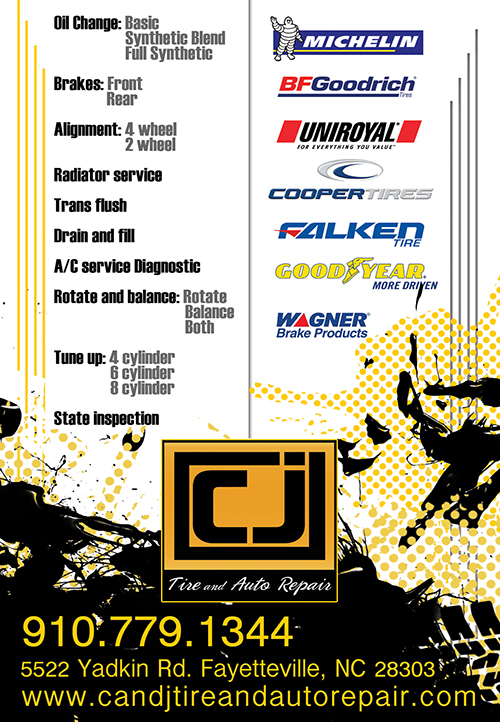 Locally owned and operated, C and J Tire and Auto Repair provides name brand tires and auto services. C and J Tire and Auto Repair carries quality, name brand tires from Michelin, BFGoodrich, Uniroyal, Cooper, Goodyear, Falken, and more. 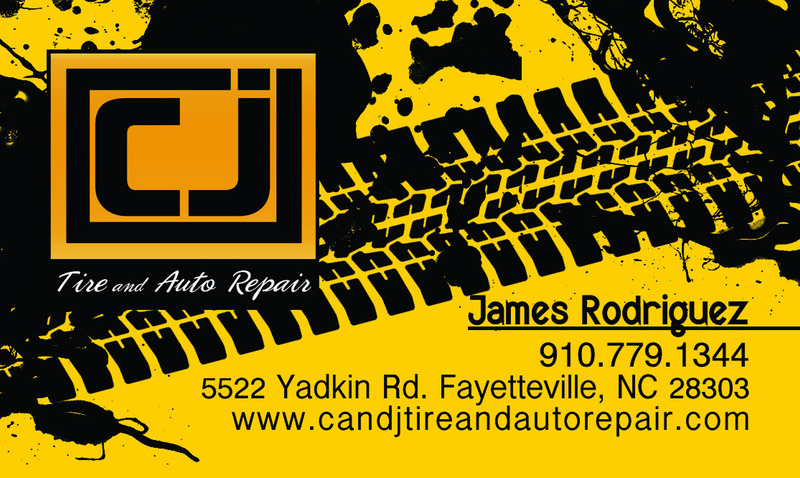 Our convenient location has a service department that can repair and service your tires, Air Conditioning, Brakes, Exhaust System, provide Oil change Fayetteville NC, Lube & Filter Changes, and more. We here at C and J will offer you a warm smile and great customer service and not to mention the best quality work guaranteed! We warranty all of our work for 12 months or 12000 miles whichever comes first and for just 10 dollars more you can double that coverage for your piece of mind, nationwide. 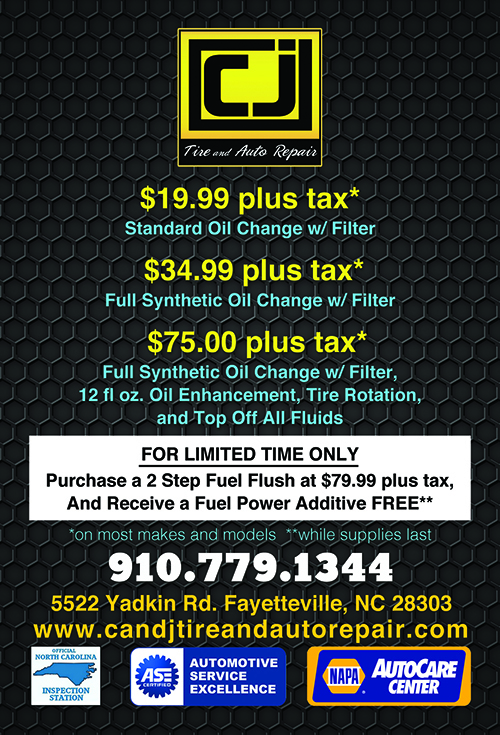 Schedule Your Appointment Today for an oil change Fayetteville NC!